Ready to get started and revolutionize your home? Firstly you need to decide what oils you want to order! 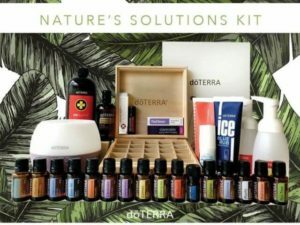 My top picks for starter kits when you are pregnant or planning to have more babies is either the AromaTouch kit or Natures Solutions kit and I will tell you more below. 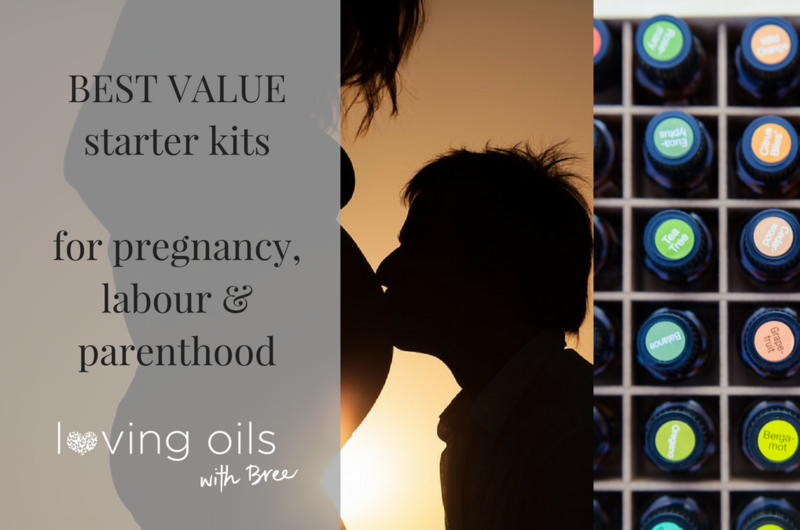 This kit has a few oils I love to use in Pregnancy, labour and with babies, so is my top pick for mums-to-be. But its missing a few key oils that are also useful. So in your second month you can order – Frankincense, Clary Sage/ Clary Calm, Roman Chamomile and potentially a diffuser. For a pregnant mum wanting a natural birth, this kit is one of my top recommendations. Read more about this kit and its uses here. Including 10 x 15ml bottles of essential oils and a diffuser, this is a very popular starting place, just add in some Fractionated Coconut carrier oil for topical use and you are ready to rock!. Read my blog article which discussed 20 uses for this kit here!! 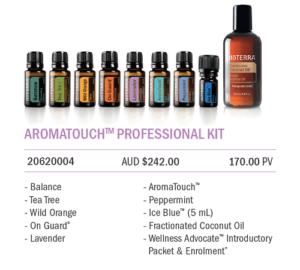 This kit saves $220 and includes many of the oils suggested for your second months order plus additional products for natural cleaning (On Guard range) and a wooden storage box. If you have the cash invest in this kit, it will overhaul your home and family with lots of solutions for the entire home. This is my top pick so if you have the budget, totally get this kit and you will be overjoyed with saving over $260 while you overhaul your family and your home. Just want a few oils for labour and birth? When buying a handful of oils individually, the loss of savings is apparent. EG – Frankincense, Balance, Wild Orange, Lavender, Clary Sage / Clary Calm, AromaTouch, Ice Blue = $340 when bought individually. As per my blog articles on this topic, you can also consider in the future doing a few additional orders before baby arrives as these can be used immediately with newborns (safely diluted) – Roman Chamomile, Tea Tree, Sandalwood, OnGuard, Lavendar peace. 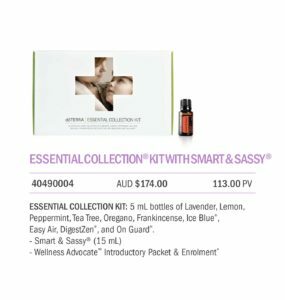 The more budget starter option, this mini version of the Home Essentials kit has the same oils but in smaller bottles. So unless your budget is really limited this one wont save you money longer term. I would suggest you add in carrier oil for topical use for an extra $16.50, and you may want a diffuser too if you don’t have one. 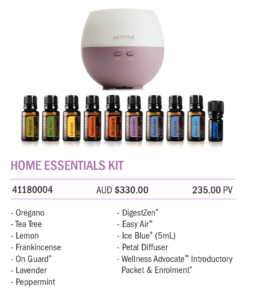 need a diffuser, this kit offers best value way to get all these oils in full size bottles and a carrier oil for topical use. Select what kit you'd like to order or create your custom order (you need to add the Introductory packet' if you don't get a kit (this is your wholesale membership). If you get stuck call me - 0409 615325 or email me connect(at)breetaylormolyneaux.com.au as I am here to help!! Once your order is placed you can join my tribe of essential oil lovers on Facebook, get access to great support, training and recipes from me. I can't wait to welcome you on this oily journey.